This is the second post on chronotherapy, or timed treatments to decrease side effects and increase effectiveness. We are talking about giving a treatment at specific times during the day to achieve these effects, whether a medication, radiation, or chemotherapy. So the body does different things during different times of the day. Drugs are handling differently, enzymes are more or less active, metabolic processes are turned on or shut down. These effects make the body more or less able to handle treatments given at different times in the day. Genes are the main control of this daily clock. The genes are turned on or off by the sun/dark cycle. They are called clock genes. The signals from the eye go to the brain and make a part of the brain ( the superchiasmatic nucleus) know which pathways to turn on or off. Day/night is the main control of the clock genes, but other things like eating has effects too. A main cancer risk factor is problems (mutations) with the clock genes. This means clock gene problems increase cancer risk. Read more here. The practicality of this is that if you are able to pin down when the best time to give a medication or have a treatment done, the side effects go way down, which means the dog will be able to handle a higher dose of the treatment. You want maximum chemo and radiation doses without toxic effects to the rest of the body. This is the main goal. Bigger doses mean more palliation (decrease in signs and symptoms). They also mean longer life expectancies. Finally, maybe we can even shoot for a cure with cancer that has spread in the body. Here is a great example: cisplatin, common in chemotherapy for osteosarcomas and some carcinomas. Guess what? Cisplatin is way safer and more effective when given at night around 6 PM. See for yourself. Here is a link to human cancer that showed it was true. Other drugs for human cancers were discussed in the publication. We are talking more responders, longer survival times, less metastasis, and lower side effects. Want more? Here you go. This is a paper on rodents with cancers showing that doxorubicin (Adriamycin) was more effective when given at the end of the rat’s sleep cycle, which would be in the early morning for a dog. 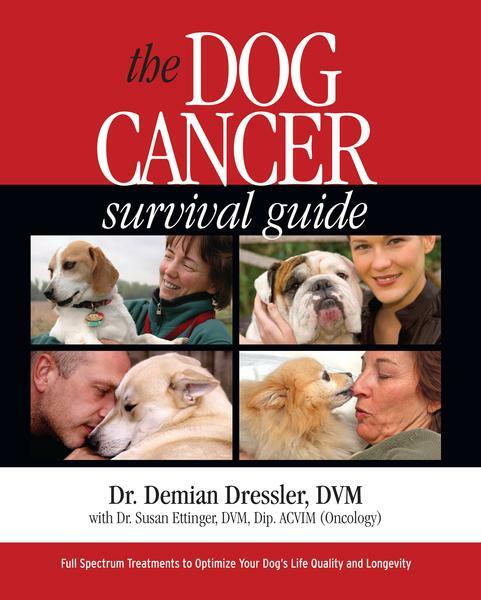 Doxorubicin is used in many dog cancers, including hemangiosarcoma, lymphosarcoma, other sarcomas, and some carcinomas. I was so flabbergasted with this data that I called the biggest name in American chronotherapy, Bill Hrushesky. This guy is a strait shooter who tells it like it is. He corroborated these general statements on cisplatin and doxorubicin (and has tons of publications, including the third above, to back up his expertise). Anyway, take this info to your vet or oncologist. After researching, they will likely be scratching their heads like I did. How could we have ignored this important point all this time??? Dr.Dressler My Beagle femmale dog name HANNA nine years old Recibe five Quimo all ready two dosis off VICRISTIN every seven days and dont have good news his cancer cell dont chage to much then change quimo for DOXURBICIN have already Have three quimo is better the first two respond well but the last one in may 14 didnt go well she sad with her tail down and the last three days she wakes up shevering She feling not well and give one tablet of METICORTEN 5 Mgr.after one to two hours she stops the shivering and sleeps a lot (about 3 Hrs)and then feel better. Watt do you think can yuo help me. Hi Dr.Dressler I Have a nine yearold female Beagle today after 4 days see my dog breafh anormal and take blodd test and xray and puntion liquid diagnosis Lymphoma Timo CANCER and imidiatly give his first 21 Day qimioterapy Watt do you comment about this diases and prognosis my veterinary is a very capable and i have absolut confidence bott i like your opinion. Thanks four your comments. Chrysin, Coriolus Versicolor, Diindolymethane (DIM), Resveratrol, Turmeric Extract (Curcumin), Quercetin, Green Tea Extract, L-Selenium Methionine. I am fearful that the green-tea extract might not be a good thing to give him while under-goign chemo. What are your thoughts? My own oncologist doesn’t know much about herbal extracts or supplements- so cannot be of much help but I need to give him the best chance he can have. Also, I haven’t seen that you give many reccomendations on diet. I noticed there are some foods out there that claim to work great for cancer however once again they have anti-oxidants- so should I stay away from them while on chemo. I usually feed innova-evo and although it’s a good product, I read that dry food in general can be harmful with cancer, even if there is low carbs. Do you have any reccomendations? Sorry so many questions, I really need help from someome who has a well-rounded understanding from the western medical side….and beyond. So far, I have been finding people knowledged in either one, or the other. Thank you, I can also be reached at mden08@yahoo.com, but I’ll check back here too. Brooklyn was diagnosed with leiomyosarcoma cancer. Hope I spelt that right. He went into emergency surgery on the 20th of Dec. 2008. They found a large mass on his spleen which they removed. I can only pray that they got all the cancer out. He is on Cytoxin 1 cc every other day. He has gone in for his check on his blood cells and it came back great. The vet has told me that this cancer is not a very well known one. They suspect that with the chemo drug he may live 3-6 months. I have chosen not to do Radiation because he is 13 years old. What can you tell me about this cancer and the medicine he is on? I also have another dog and the vet is actually recommending that I keep the dogs separate when it comes to their potty areas due to the drug he is on. What do you think about that? I really appreciate your help and your knowledge. My dog Molly has just finished her Madison-Wisconsin protocol which lasted for 6 months. Her treatments were always done at the end of the day, 4:30-5:30. Her physicals have shown no enlargement of the lymph nodes and no return of the tumors. She was diagnosed with unoperable high-grade lymphosarcoma last June, and has handled the chemo very well. Do you think she has a chance of remaining tumor-free? I know that lymphosarcoma is fatal in 90% of patients, but I was wondering what the success rate was when there had been no surgury to remove the tissue. Gwen, I am sorry that Molly has LSA. The good news is that surgery is not frequently done to remove LSA, so the stats you have would apply. I hope your oncologist said that the cancer usually comes back, right? You might want to have another discussion with them, just to clarify expectations and so on.